TruePublica Editor: For some time now, TruePublica has consistently warned about the global players in the information war being covertly conducted in distorting our understanding of how our world is being managed. This particular investigation by media partner DeSmogUK and contributor Dr Nafeez Ahmed demonstrates that social media platforms are as dangerous as we always thought they would be. By Mat Hope and Richard Collett-White – DeSmogUK: The war on fracking’s frontlines has gone full Cyber. Fracking companies INEOS, UK Oil and Gas (UKOG), and Europa Oil and Gas are all in the process of trying to obtain injunctions to restrict protest. An investigation published on Vice Motherboard, in cooperation with DeSmog UK, shows that to support their case, the companies have deployed a specialist security team to conduct, among other things, mass social media surveillance. 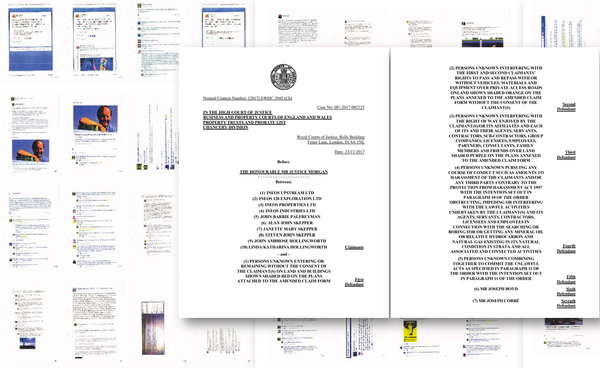 A trawl through hundreds of pages of surveillance by DeSmog UK shows many of the posts they submit to the court are of either totally legal or totally unrelated, activity. This surveillance is being used in court cases to argue for further restrictions on the protestors. DeSmog UK has identified a number of cases where a private group appears to have been infiltrated by the security firm, with posts from that group submitted as evidence to the court. On top of this, the company charged with carrying out the surveillance, Eclipse Strategic Security, appears to have once been indirectly owned by INEOS – one of the fracking companies taking out an injunction, and for which it is conducting surveillance. Eclipse’s net assets have increased 17-fold over the last two years as fracking protests blossomed around the UK, Companies House documents show. Further investigation by DeSmog UK found Eclipse employees publicly support far-right groups, have privileged access to the UK’s police, and have links to Big Oil companies and security firms embroiled in human rights scandals in the Middle East.